With 20 years of experience, Style Bathrooms is your one-stop service for all bathroom renovation needs. Our team of experts are fully-equipped to create your dream bathroom, from start to finish within strict budget and time frame by providing tailored and reliable service. Using only the highest quality materials, we specialise in customised bathroom designs, aged care and disabled-friendly bathrooms for both residential and commercial, as well as walling and tiling solutions including wet walls. Our innovative designs also incorporate the latest in technology and installation of water saving features. Our innovative bathroom technology can incorporate a TV at the end of your bath, bluetooth options for charging and listening to your music, and touchless technology like ‘wave’ to flush toilets!! Visit our Norwood Bathroom Life flagship showroom to view the styles and brands we offer. We partner and work with Bathroom Happiness and Reece. Get in touch for a free consultation and no-obligation quote today! Our friendly staff work hard to ensure that your renovation small or large is a smooth and stress – free process, we are focused on answering any queries you may have. Operating out of our office in Norwood, we are a family company that have been renovating property for over 40 years. 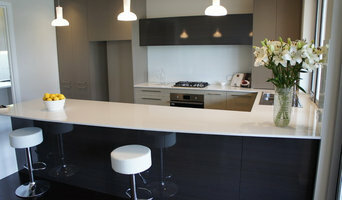 The projects we have worked on have varied from small home units and townhouses through to apartments and full houses. The scope of work has covered full internal and external upgrades including the removal of internal walls to modernise the layout and function to better suit our style of living today. You may wish to modernise your bathroom, kitchen or laundry within their current position or to investigate other options to improve or enlarge these areas. BKSA Construction Pty is the main construction and renovation side of the business Bathrooms & Kitchens SA Pty Ltd.
At Zig Zag Tilers we pride ourselves on our ability to effectively and efficiently manage the entire process of a complete bathroom renovation. We offer an integrated service of trades which can include plumbing, electrical, plastering, carpentry, cabinet making, painting and of course tiling. Zig Zag Tilers have relationships with reliable and trustworthy tradesmen that we have used for many years. It is because of our great working relationship with these tradesmen that we can guarantee that your bathroom renovation will be completed in the shortest time possible and with the highest level of client satisfaction. 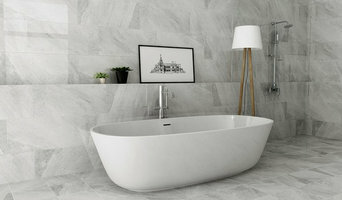 Our experience in bathroom renovations will help us to consult with you about your bathroom design ideas and help you create a more spacious and user friendly bathroom. Please feel free to contact us for a quote or to discuss options and ideas for your bathroom. Deluxe Bathrooms & Tiling Solutions is an Adelaide based, second generation family company, led by Director, Matt Sciancalepore. As our name suggests, Deluxe Bathrooms & Tiling Solutions is renowned for expert service, exceptional quality, design elegance and sophistication. If you are thinking bathrooms, renovation and revamping, then touch base with Remarkable Bathroom Renovations. With over 15 years of industry experience we know just a thing or two about our line of work. 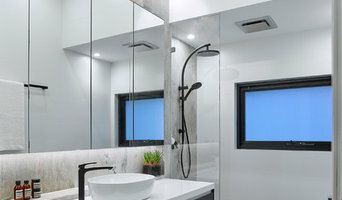 Champagne Showers supply and install a wide range of made to measure showerscreens at Pooraka as well as mirrors, kitchen splashbacks glass fencing and frameless glass sliding doors. We have a huge range covering all budgets which are on display at our showroom with an expert and highly experienced team to deliver installation. I spent a lot of time researching the industry to provide the most modern, quality products which greatly complement the chosen area. From new homes to renovations and extensions, we can handle all your tiling needs. At Prozat Tiling and Bathroom Renovations, we are an experienced team of tilers and bathroom renovators. 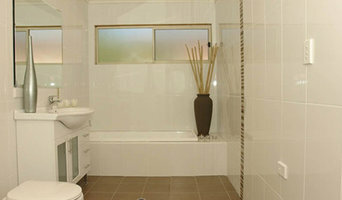 Being qualified, skilled and reliable we cater to all types of tiling jobs and bathroom renovations in Adelaide. Our services cover bathroom and toilet tiling, kitchen splashbacks, floor tiling for residential and commercial spaces, porch and alfresco tiling, laundry etc. We are specialists in bathroom renovations and makeovers. Our team members carry the expertise for performing the job and have been handpicked for their niche. We offer reliable service in the industry and deliver best results. Looking for a bathroom renovation or a good tiler for your next project. Don’t overlook, call Prozat Tiling and Bathroom Renovations today 0407 891 605. 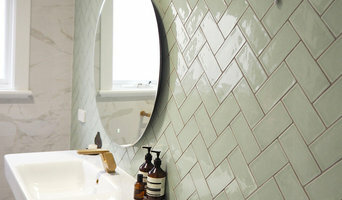 Adelaide Complete Tiling Services is a family run business dedicated to do the little things to make your bathroom renovation and tiling job look sensational. They understand that tiling a bathroom can be a stressful job and are here to make the entire process simple. Call Robert about tiling you home and see for yourself the experience he holds to provide a high quality finish. Welcome to Sublime Living, the home of designer bathroom basins. In today's world, your bathroom reflects your lifestyle and personality as well as complementing your design choices. From contemporary and cool to timeless and traditional, you'll find bathroom basins in natural stone, composite stone and glass to suit your every need. We invite you to browse through our range of designer vanity sinks and we look forward to helping you enhance your building or renovation projects. Our philosophy remains constant and we have a strong focus on pride in our products and a passion for what we do. We have an evolving range of counter top basins for your bathroom and we are continually diversifying through offering a range of natural stone, composite stone and glass products. Sublime Bathroom Basins reflects the latest trends we identify from attending design shows and trade fairs around the world. We hope you will become a proud and satisfied owner of our product and, for a small additional charge, we can arrange home delivery to most of Australia's capital and regional centres. With more than 19 years experience within the building industry, Angela Gianakis has been personally involved in creating award winning homes that reflect the client and their needs. As founder of Outside Square in 2006, she created a niche business that evolves around the delivering the client with a project coordination service that is second to none. Whether you're building new or renovating, Outside Square coordinate interiors that meld trend, personality and function in designing homes that define you. "We take the client through the entire process, providing them with the resources and information to make informed decisions. All our clients are different with different needs, and our work reflects that understanding. No two homes look the same, and that's why we are also chosen by builders to work with them for their display homes. We love working together with our clients to provide them a solution that they love."